The best way starting point is a visit to our Lynnwood showroom. Check out product samples, and get some advice from our kitchen remodel experts. Hours: 10:00am to 6:00pm Mon–Sat. 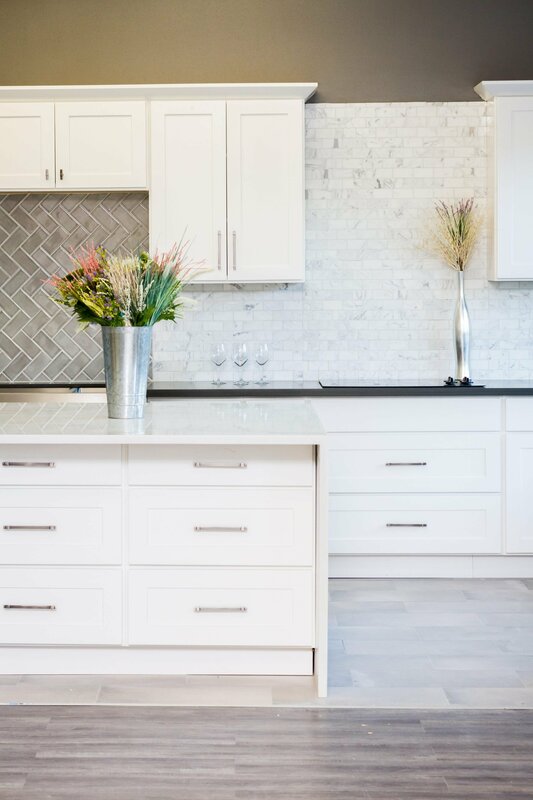 Have a look at our Pinterest articles and our online catalogue to find and combine your dream kitchen remodel ideas; peruse projects that pique your interest, and bring those to the table. Once your vision for your fantastic new kitchen emerges, you can perform the following simple measurements; let our easy-to-follow instructions be your guide. 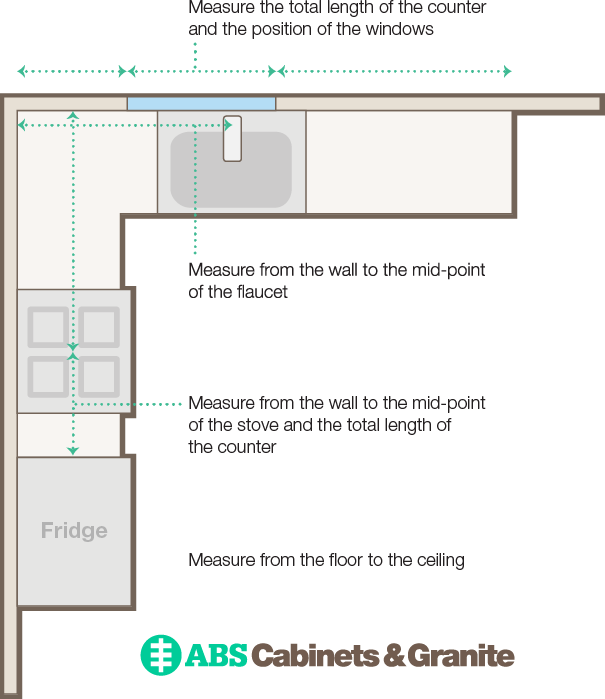 You can also make an appointment with our specialists to come measure your kitchen for you. 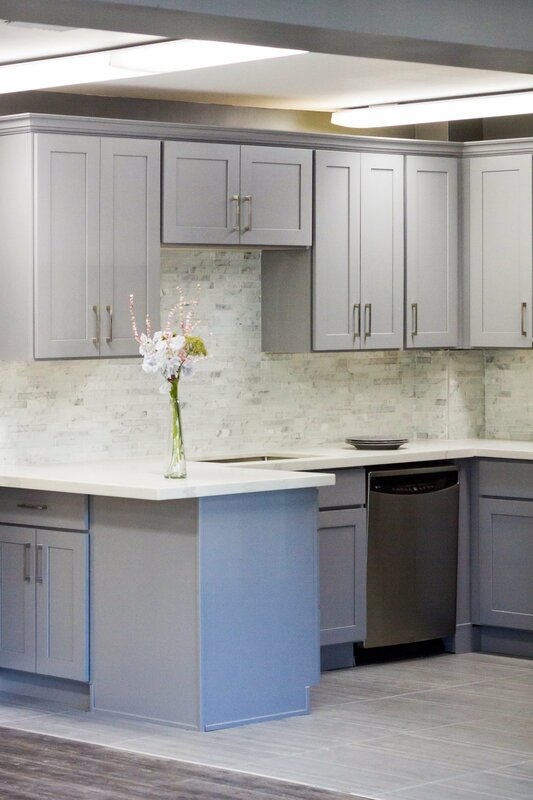 When it’s time for your free consultation with one of our kitchen remodel experts, come to our Bellevue showroom at 1940 124th Ave NE Suite A102, Bellevue, WA 98005. We’ll have samples of cabinets, granite countertops, fixtures and sinks, floors to choose from – give your measurements to our remodel consultant and they’ll provide you with a computer-generated 3D model of your future kitchen! Once the decision is made to move forward, you’ll put down a deposit, and if what you need is in stock, we can get you on the schedule right away. The cost of installation is built into your estimate, and our experts will complete your kitchen remodel project seamlessly. You or your contractor may pick up your order and we’ll send you off to do your own installation. 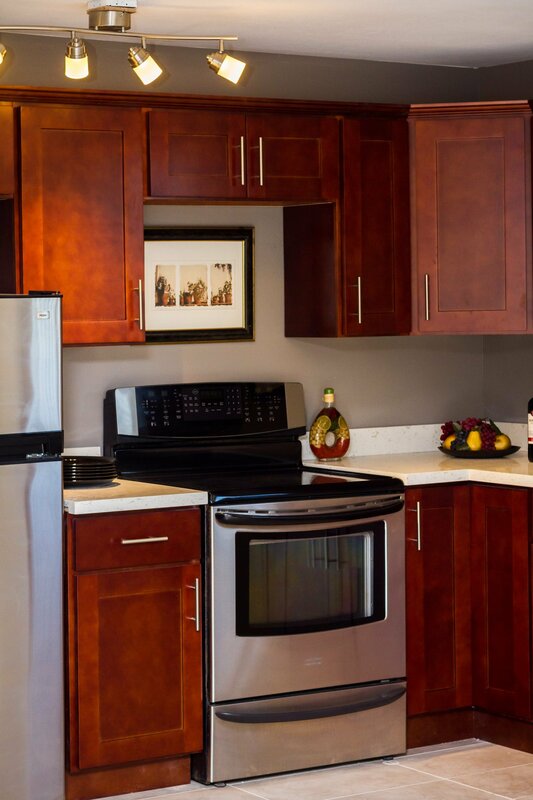 We can deliver your kitchen remodel directly to your home. 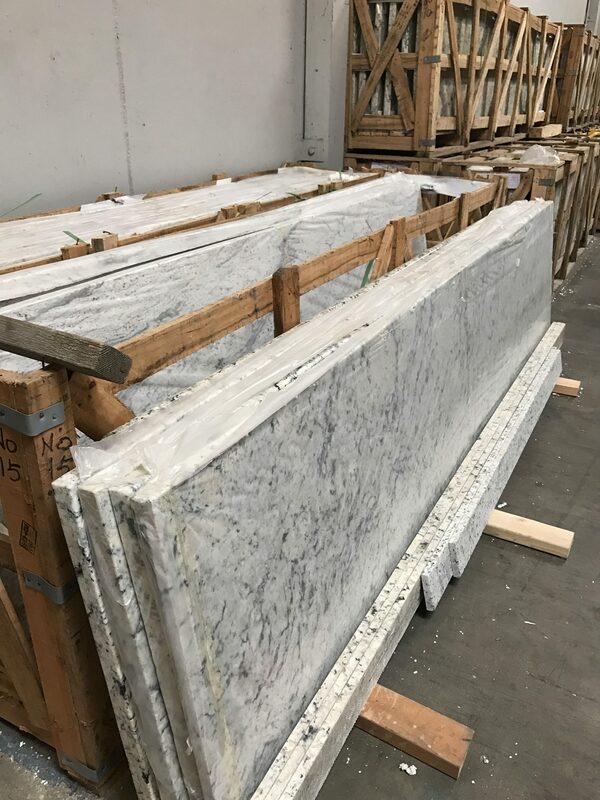 If you already know the item you want you can call us, give us the measurements (instructions can be found here), and schedule your visit to the showroom! If everything you desire is in stock, you’ll simply pay your deposit and we’ll schedule your installation, pickup or delivery. 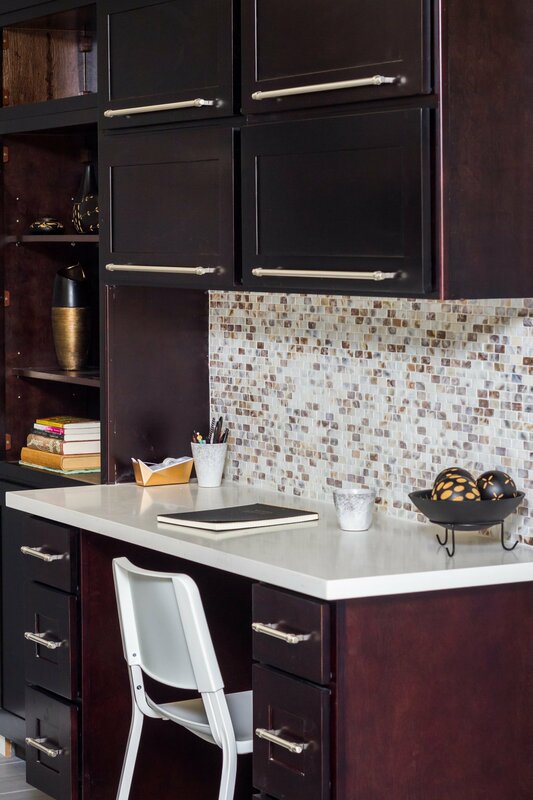 If the items you need for your kitchen remodel are not currently in stock, or if you desire a customized color, we will place the order for you, and keep you appraised of all timelines (delivery typically takes 1-2 months). Once the items arrive, we’ll schedule your installation, pickup or delivery. From start to finish, our installation typically takes one month. Once installation, pickup or delivery is complete, you’ll pay your balance and move happily into your brand new kitchen! **Ask about our wholesale options. 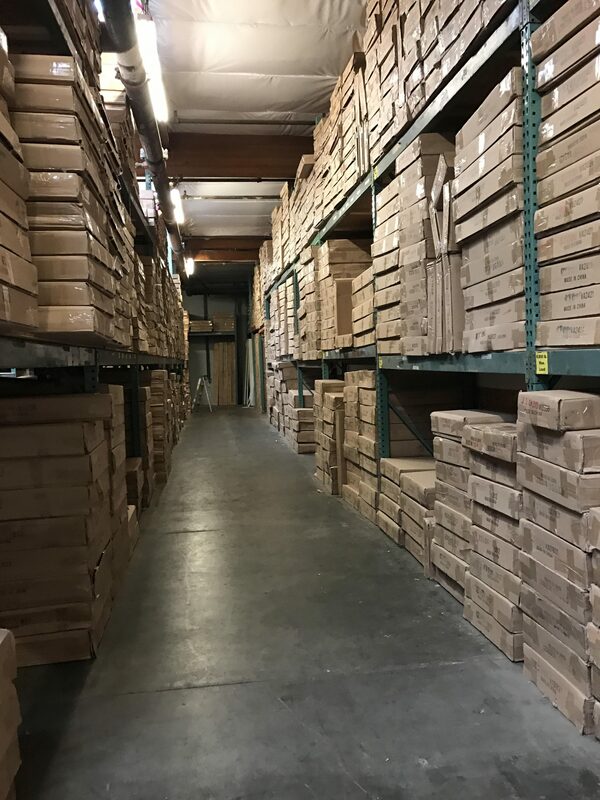 Our Warehouse in Seattle. More likely than not what you need would be in stock! 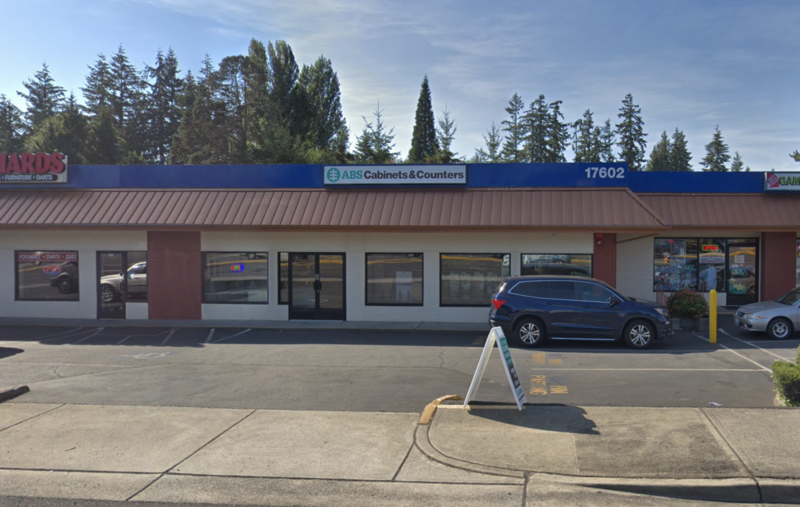 Our four showroom locations are conveniently located in Seattle, Bellevue, Lynnwood, and Tukwila. We have kitchen cabinets, kitchen sinks, granite, mosaic tiles, flooring tiles, bathroom sinks, and sample installations on display. Bring your measurements, and we'll be able to help you visualize your ideas with computer generated 3D images! Email: [email protected]Hours: Warehouse only. Showroom Opening Soon! Already have some kitchen remodel idea in mind? Please let us know more and we can get things ready for you when you come in.